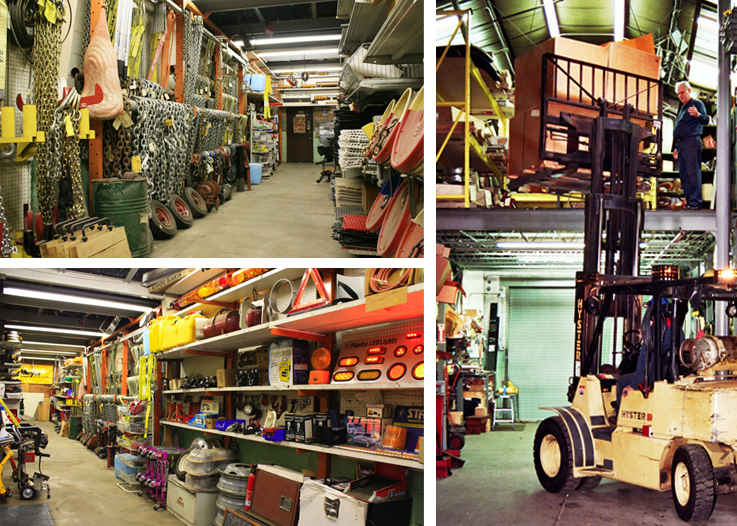 All The Parts You Will Ever Need… UNDER ONE ROOF! Equipment Sales and Service handles over 100 truck accessory and product lines in order to provide easy “ONE STOP” shopping. We have an extensive inventory of emergency lighting products, Power take-off (P.T.O.) and hydraulic pumps, transport/recovery chain and straps, electric and hydraulic winches, steel and aluminum toolboxes, truck push bumpers, as well as a complete line of snowplow, salter and spreaders. Rest assured our product assortment and knowledge is extensive. Chevron, Dynamic, Zacklift, Sneeker Recovery Products, Miller Industries, Century, Holmes, Trail-eze, Challenger, Champion, Eagle, Vulcan, Jerr-Dan Weldbilt and NoMar. A 95% fill rate assures prompt reliable parts delivery. An independently staffed parts department insures personalized attention. The parts showroom provides the widest selection of industry options. Our Shipping Department expedites orders worldwide.